Chelsea U Corner: Take a Savings Pledge During America Saves Week! 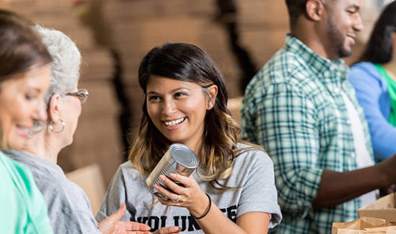 To celebrate America Saves Week (Feb. 26-March 3), we're encouraging teens and young adults to take a pledge and make a commitment to save for a cause. Take the pledge here and be sure to follow the hashtags #ASW2018 and #CTSaves during America Saves Week, and #CUgrow all year long for additional tips and advice related to financial decision-making. Cold waters can't stop Larry Walker from plunging for a cause! Learn more about how Larry leads Chelsea Groton's team of Penguins in support of Special Olympics Connecticut. Join us for free community events and financial education classes. Visit chelseagroton.com for more details on the events and classes being offered, and the most current schedule. 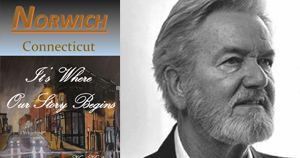 Norwich Author Ken Keeley is promoting his new book "It's Where Our Story Begins". Norwich St. Patrick's Parade & Festival, Sunday, March 4. Book an appointment to meet and consult with Jim Elliott from Financial Services. Stop by for a St. Patrick's Day treat on us! The following classes will be held at the Center Groton Branch unless otherwise noted, 1319 Gold Star Highway, Groton. Please register by visiting chelseagroton.com.